Improved and well established infrastructure with latest machinery and tools enables Vermaco Engineers to deliver the best in class equipment for engineering and foundry industry. We were established in 1993, by our proprietor Mr. S.N. Kumar who is an Engineer from Roorkee University(IIT, Roorkee), 1973 batch. He was in this industry for 20years prior to establishing the company’s first unit at Gurgaon (in 1993) followed by second unit in Bhiwadi (in 2008). His industry experience and immense knowledge of the foundry industry have helped us attain a notable position in the marketplace. 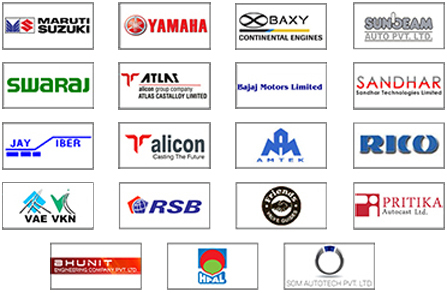 We are a reputed manufacturer, supplier and exporter of Shell Core Machines, Low Pressure Die Casting machines, Shot Blasting Machines, Heat Treatment Furnaces, Mechanized Sand Plant, Equipment for Aluminum & Ferrous Foundries etc. These are widely accepted and demanded for compact designs, high performance, smooth functionality and many more distinctive features. Our team of highly skilled and experienced personnel helps us achieve complete client satisfaction while using technologically advanced equipment. Our talented workforce has complete knowledge of their respective fields of work and work in sync with others to meet the varied requirements of industrial clients in a timely manner. Besides, our engineers keep themselves at par with the industry trends to design and develop products as per client requirements. They use their knowledge and skills to deliver best quality foundry equipment. In addition to this, our quality inspectors and researchers help us in improving our existing range of products. Their combined meticulous efforts have enabled us expand our business while retaining our clients trust and confidence.